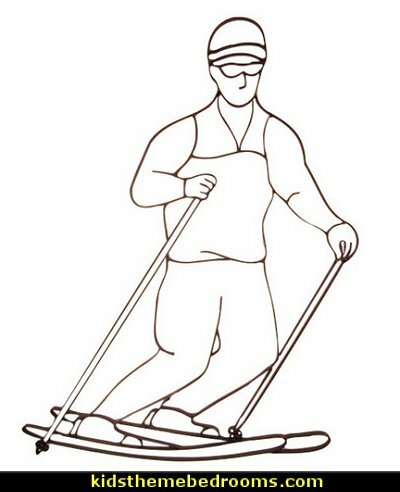 made of steel that is wide and thick and fashioned into outlines of athletes in action. Comes with a semi glossy finish. 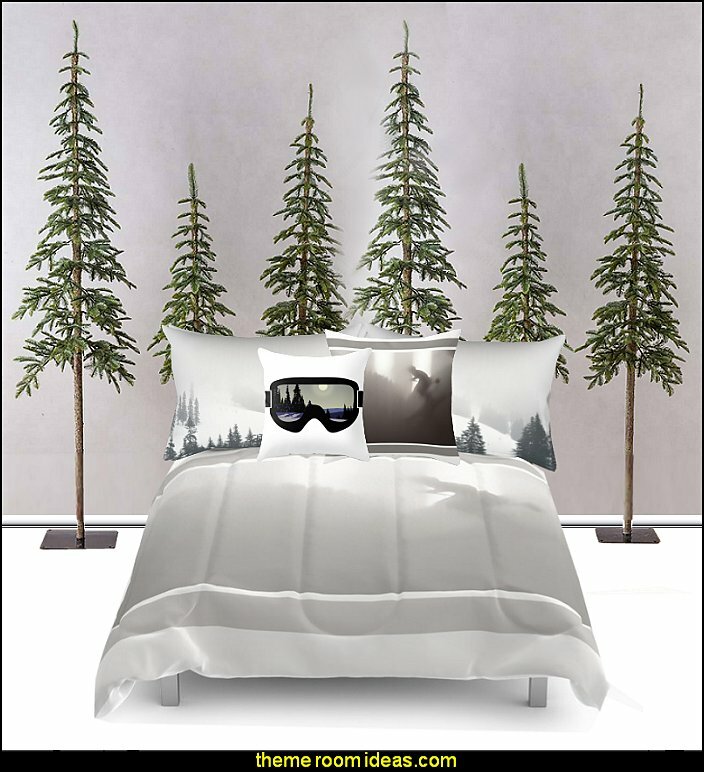 Beautiful as-is, the tree is even more lovely with the addition of micro string lights (not included). 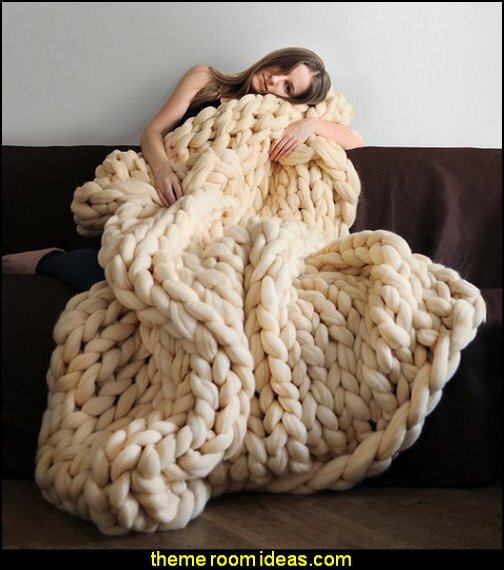 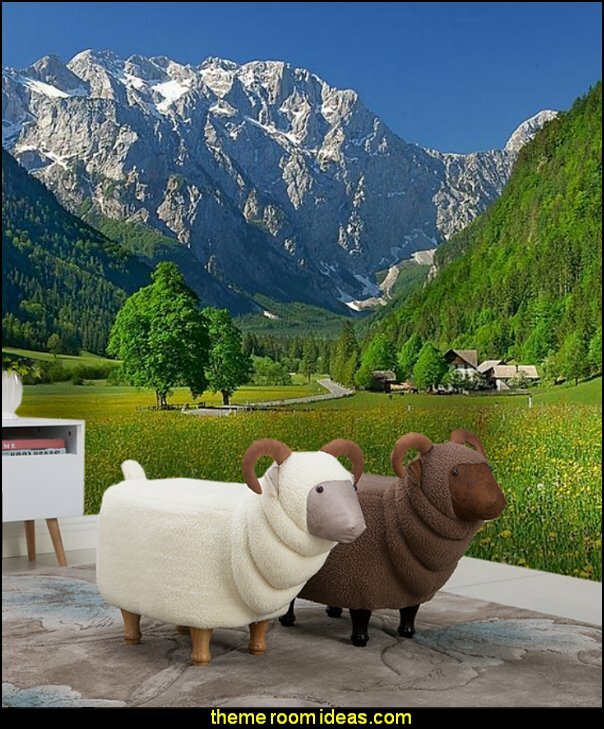 The incredibly realistic, 3D needles are substantial, yet soft to the touch. 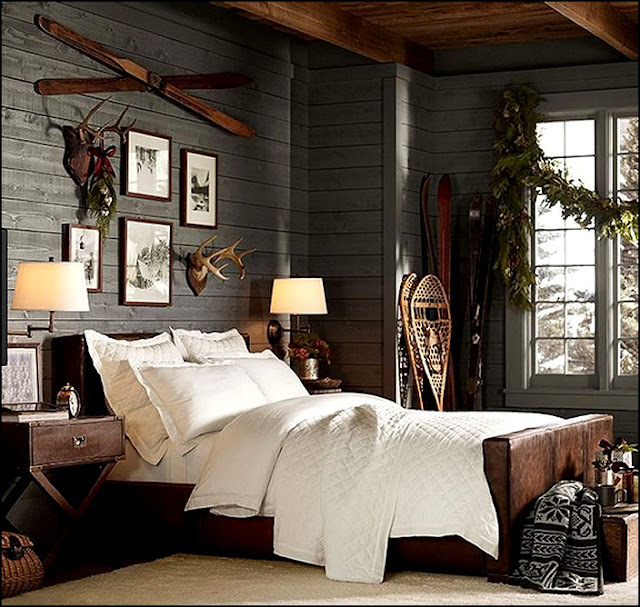 Textured, bark-like metal trunk; removable black metal stand (decorative container not included). 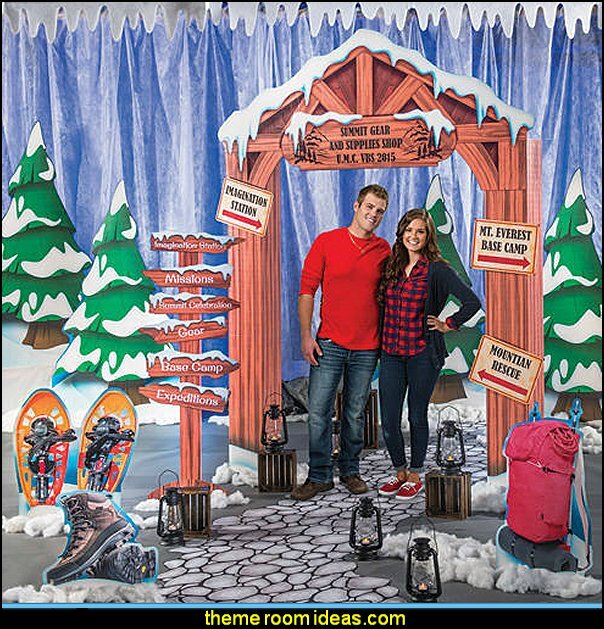 Display in a galvanized bucket, wood crate, decorative container - or wrap the base with burlap, festive fabric or faux snow. 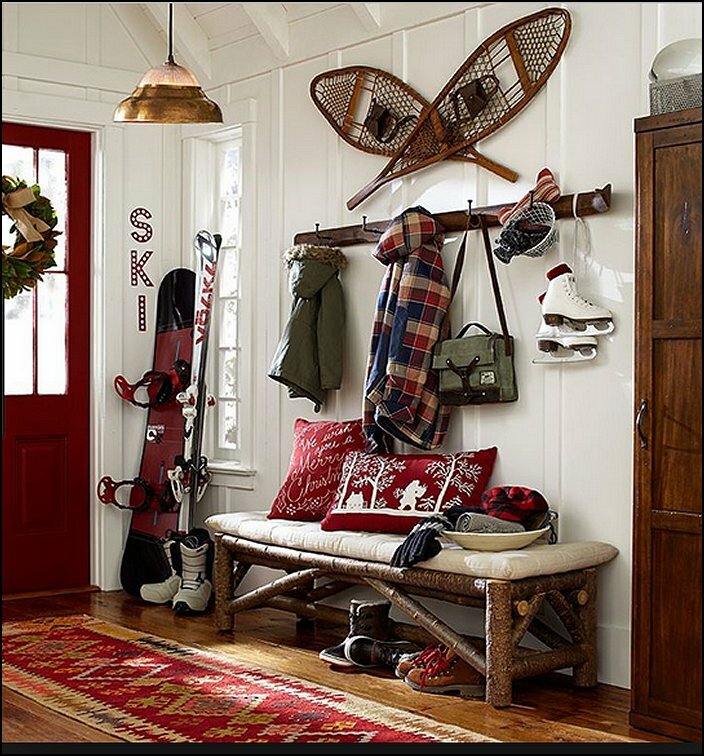 Use indoors or outside on a covered porch. 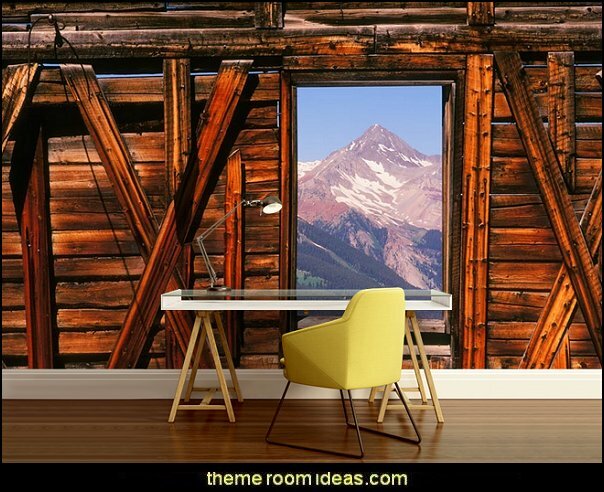 The window in a rough cabin wall frames a view of a snow-swept mountain. 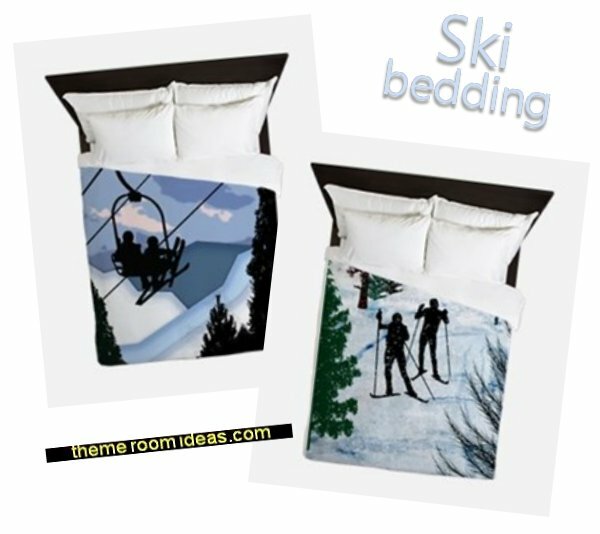 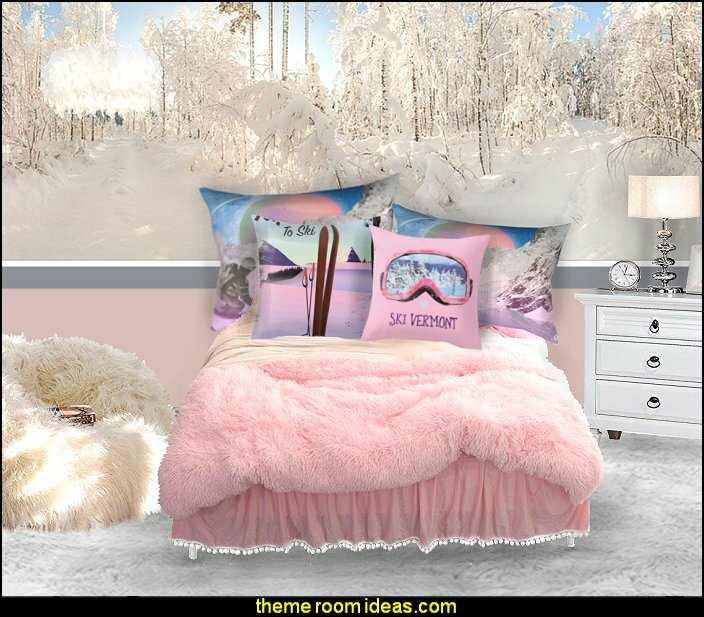 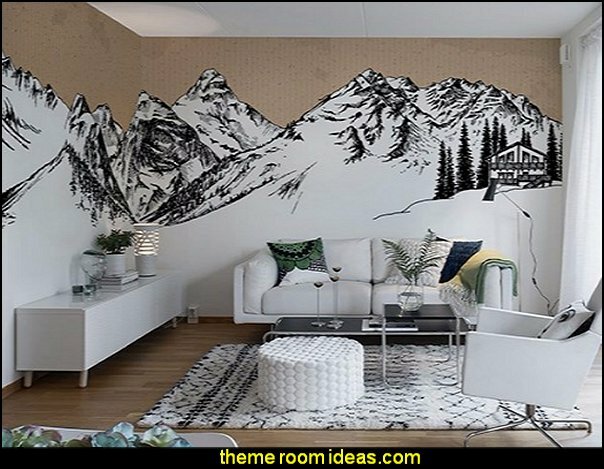 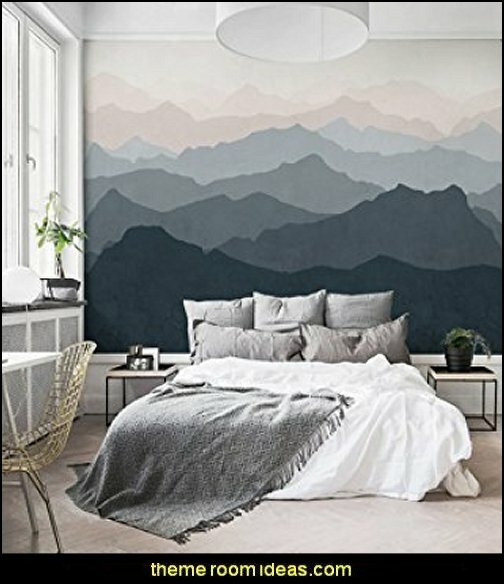 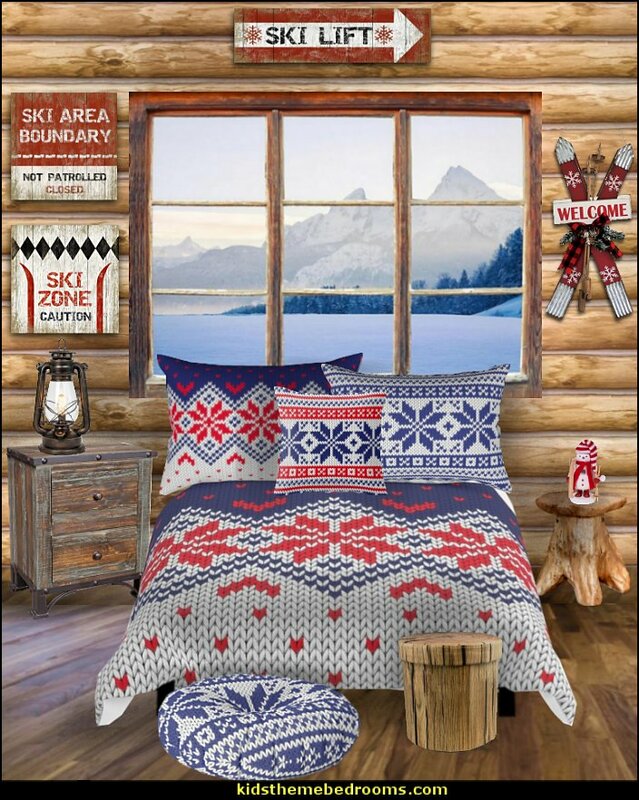 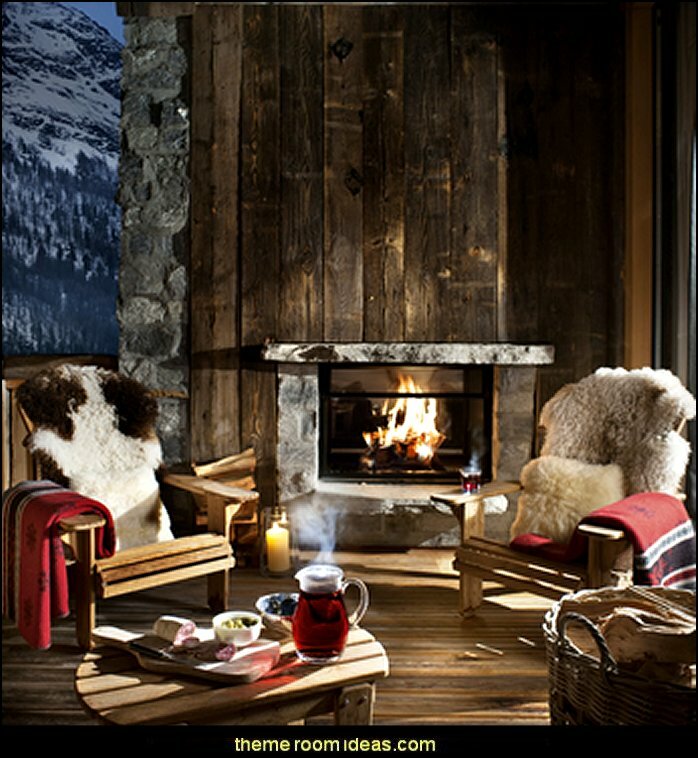 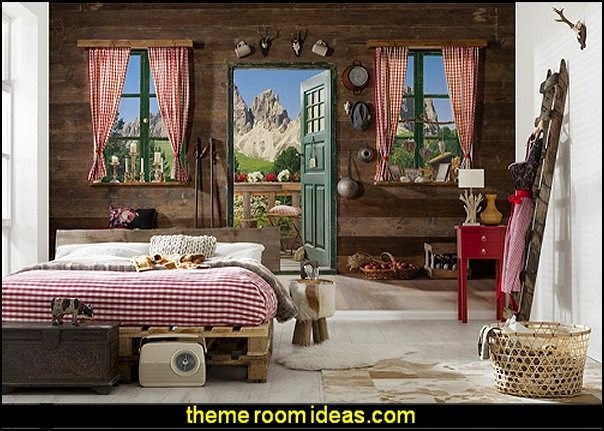 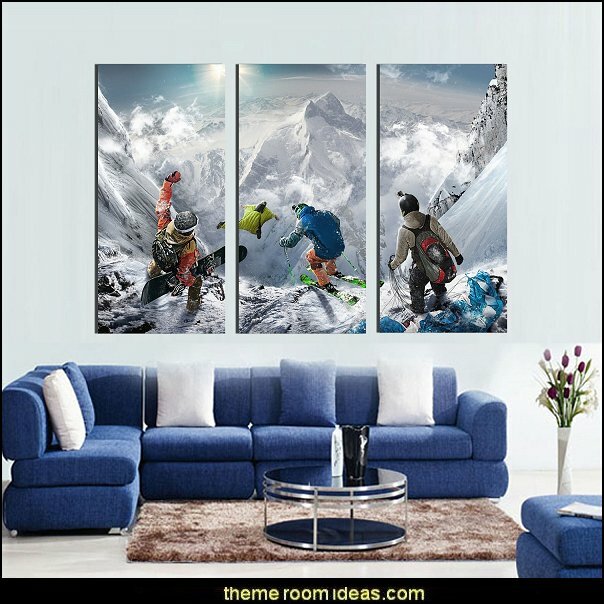 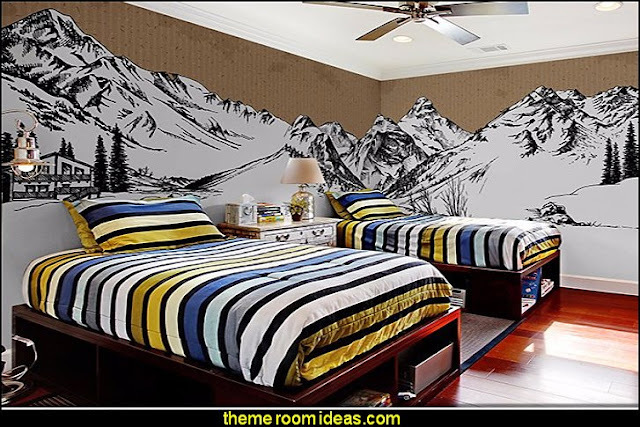 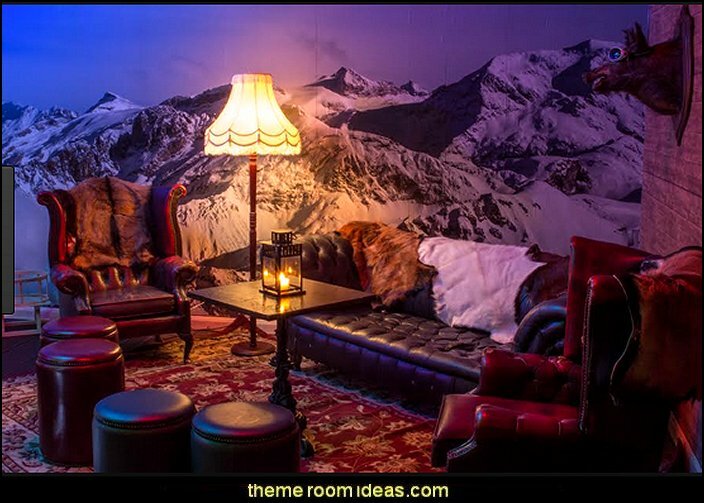 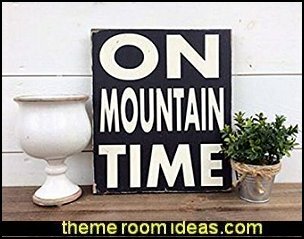 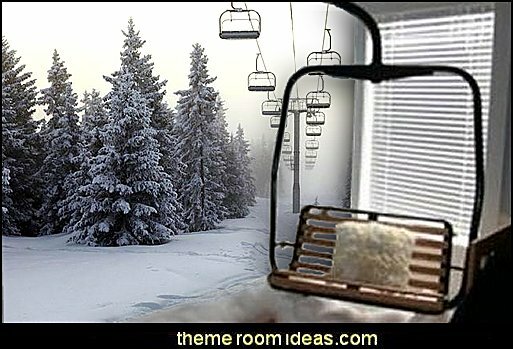 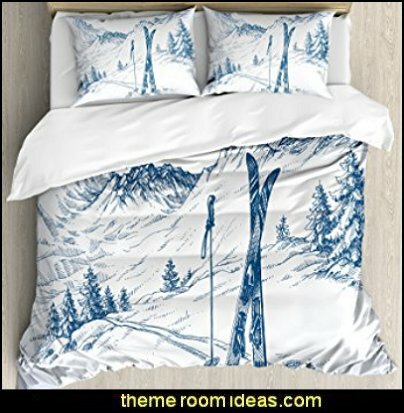 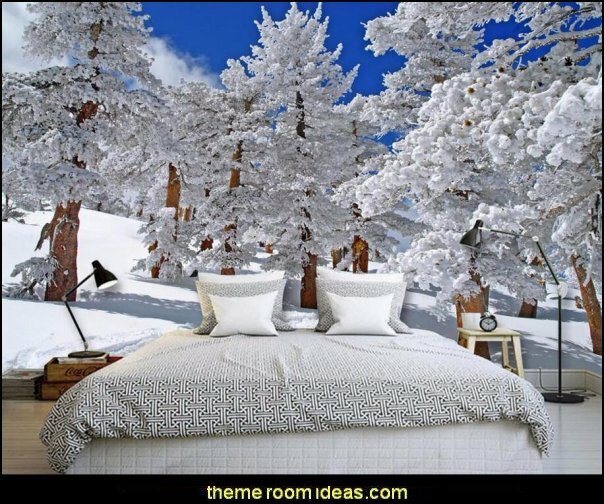 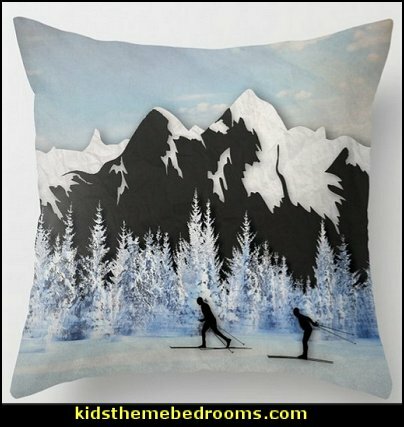 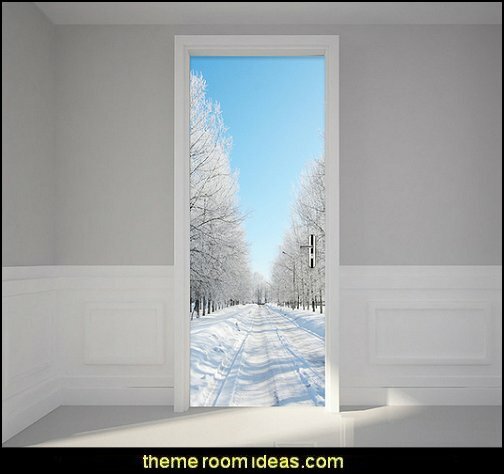 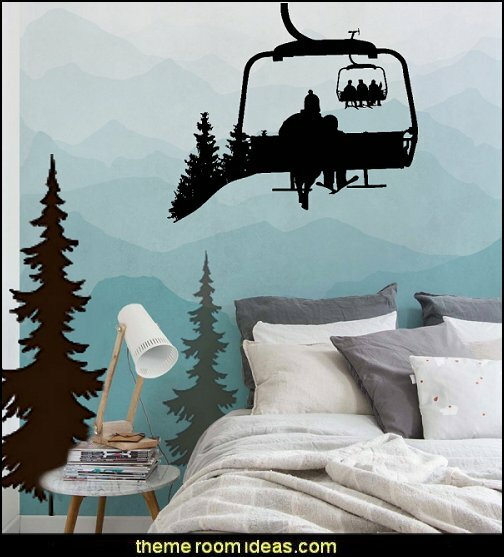 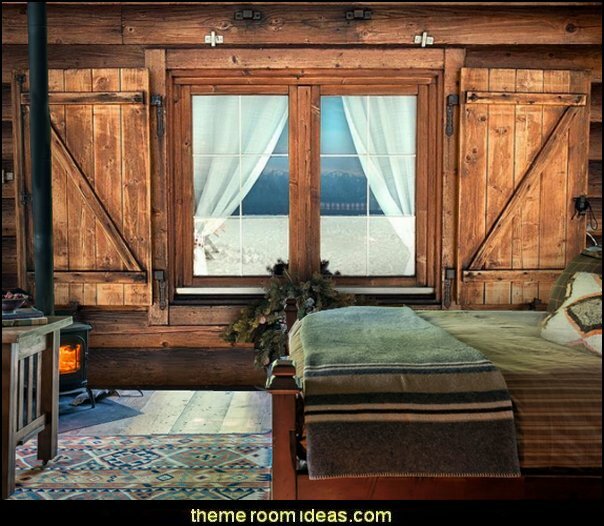 Beautiful backdrop your the rustic snowy mountain cabin retreat. 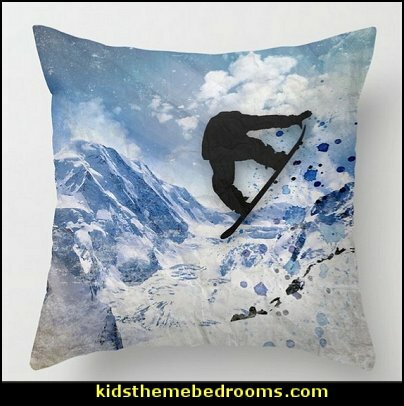 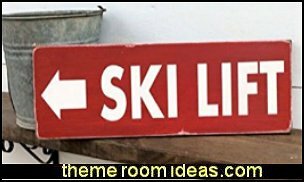 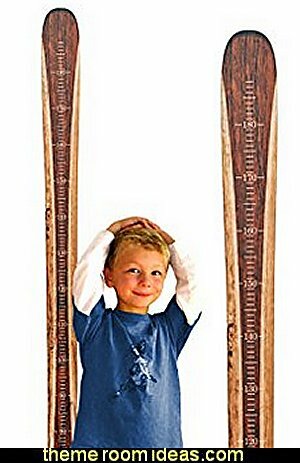 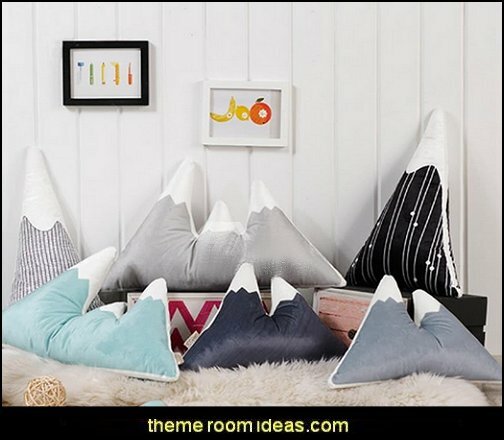 Stylish + fun, these ski growth charts are easy to write on, last forever and will move with you! 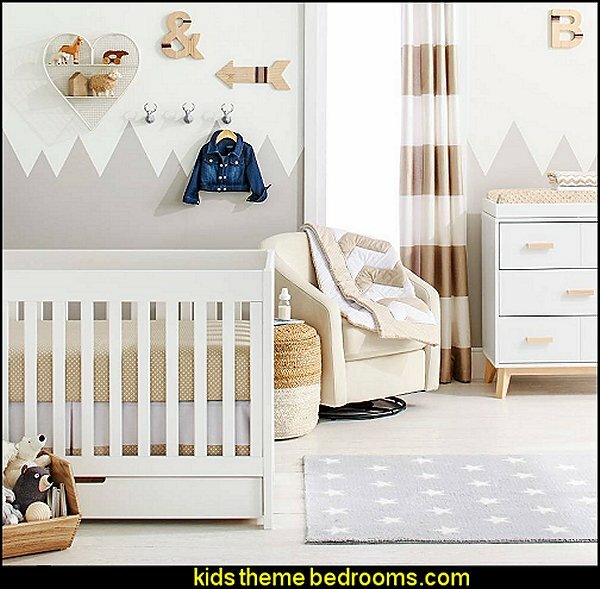 Soft, soothing, restful neutrals make up this Nursery. 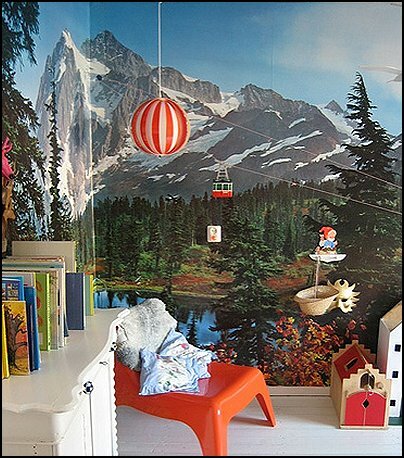 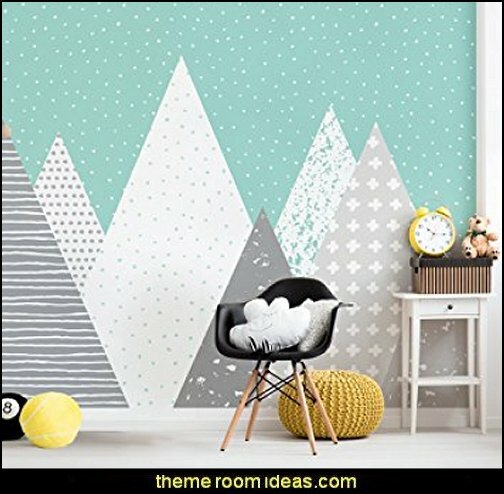 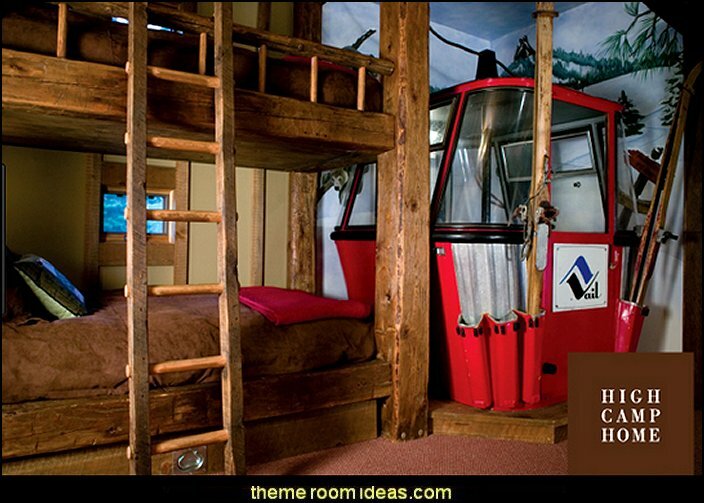 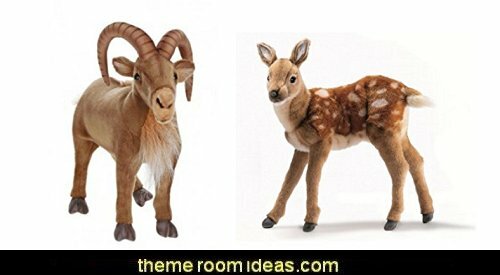 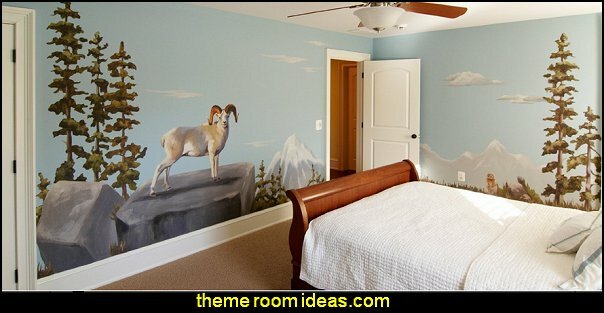 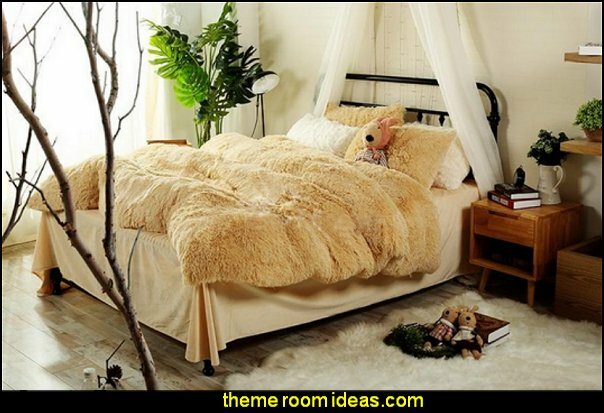 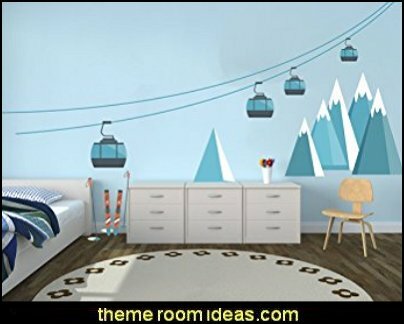 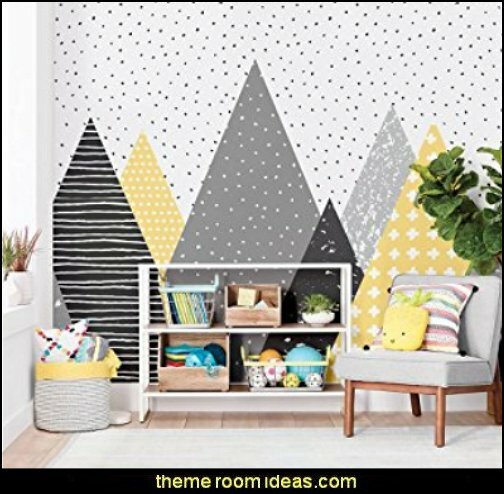 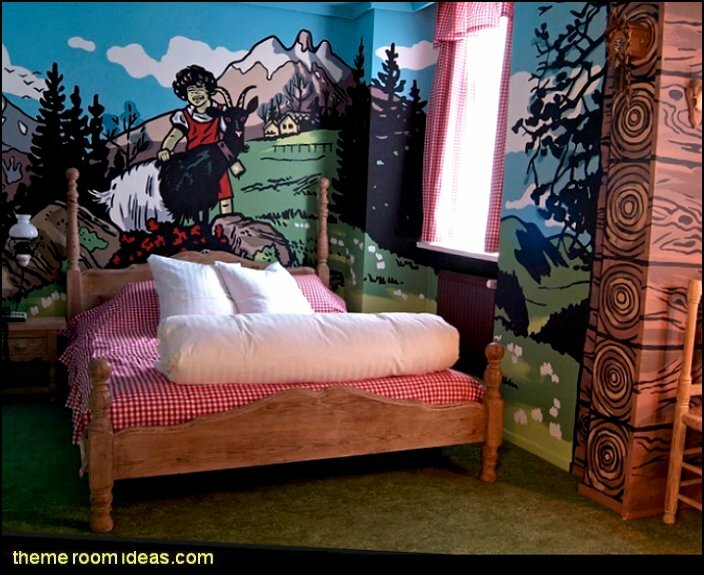 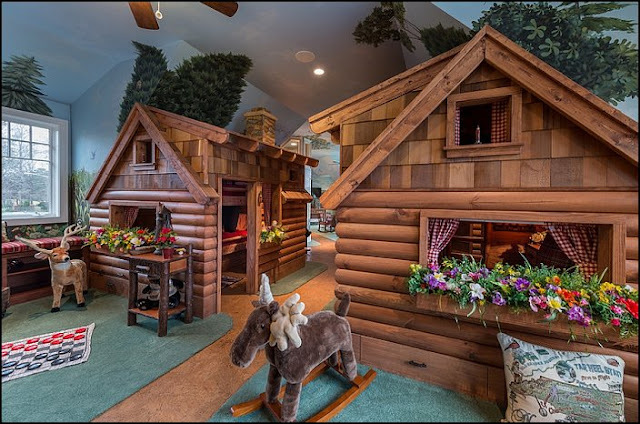 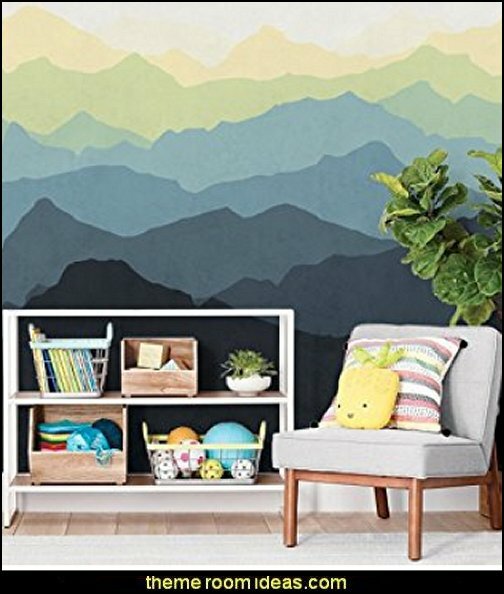 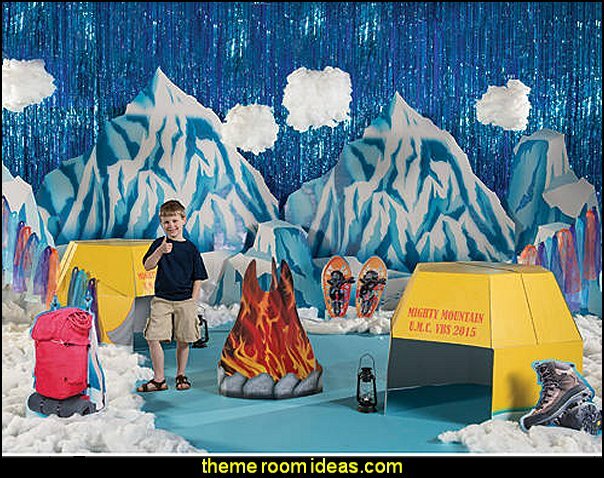 Sporting tans and grays, this child’s room feels dreamy and perfect for a boy or a girl chalet. 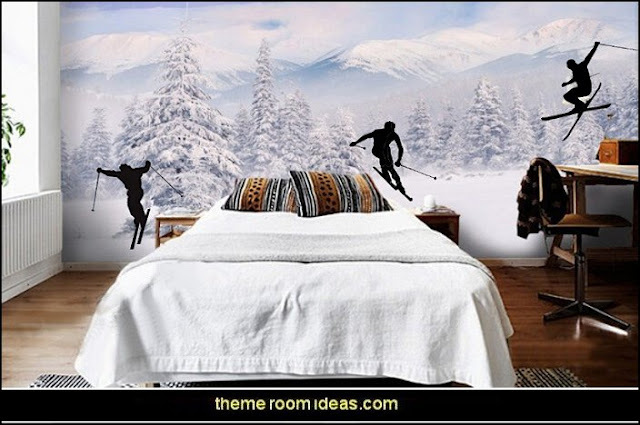 Originally an adventurous way to move through ice and snow, skiing is now the number one wintertime recreational activity.